Universal access: the Client-Server Concept, with redundancy Thanks to the network-wide client-server concept of SICAM 230, you can access and process central functions such as alarm and sequence of event lists, archiving, acknowledgments and configuring from any workstation. The SICAM 230 redundancy concept is based on two servers working in parallel, and which are continually being synchronized through the network link. This ensures that messages, fi le entries, derived counters, variable identifiers, trend memories and many other data are brought up-to-date. Open to all: communications interfaces in SICAM 230 Automation systems such as SICAM 1703 can be interconnected serially (IEC 60870-5-101) or through a LAN or WAN (IEC 60870-5-104). The open interfaces in SICAM 230 equip the system for future standardization trends in the automation or IT sector. What’s more, additional PLC servers (such as Profi bus FMS, SAIA etc.) are available for standardized remote control connections. Everything under control: alerting functions and event management Use SICAM 230 to adapt your alerting functions and event management perfectly to your application through variable definitions and complex filter conditions available for the output. Flexible reaction matrixes with standardizable processing objects are available to assist you. The output can be issued in the form of reports, open and closed logs or as an export in standard fi le formats. In the event of a breakdown, monitored image hierarchies guide your operating personnel from the overview image to the acknowledgment-capable alarm in the detail process view. Reliable trend recognition: The SICAM 230 Trend Curve Module The trend curve display feature in SICAM 230 gives you a fast and precise overview of current developments derived from the evaluation of online and archival data. Logs, wherever and however you need them The SICAM 230 Log Generator generates closed logs based on online and archival data in a simple and convenient manner. This includes even complex logs with a diversity of layout and computational requirements, which can be output on-screen, as a file, or as a print-out. 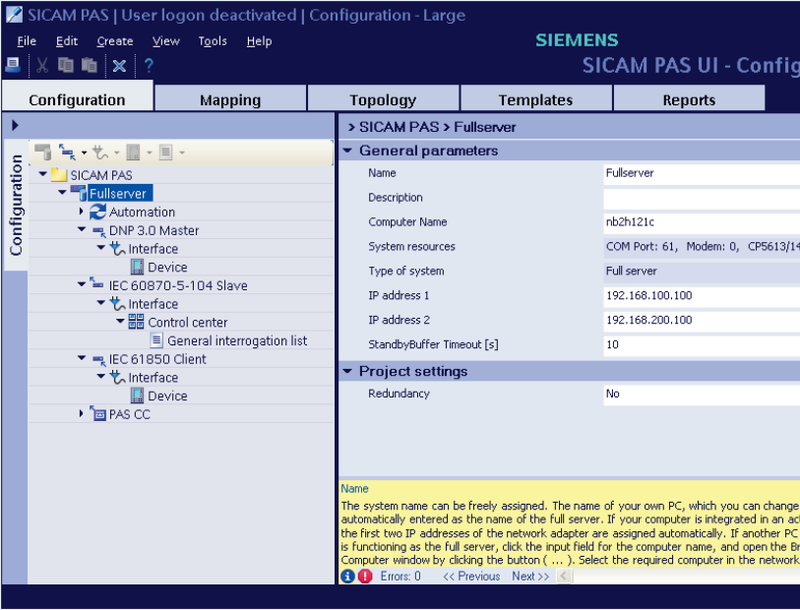 Error-free configuring: SICAM 230 Project Manager In addition to the object-oriented, menu-driven parameterization with the graphical user interface, you’ll fi nd many other convenient tools in the SICAM 230 Project Manager. These include graphics import, import/export of the data model, copy and alignment functions, zoom, online help, etc. The data model is generated and maintained with the OPM II object-oriented process data manager as part of the TOOLBOX II. See clients that we’ve installed SICAM RTUs for. Specially developed for the energy sector, the SICAM Remote Terminal Units are indispensable components of industrial systems whether they are electrical substations, power plants or oil pipelines. The SICAM RTU product family is being developed to offer solutions for secondary technology in all kind of electrical substations. The family members are able to perform local control tasks based on the principle that the time-critical process automation tasks in a multi-hierarchical network are performed as close as possible to the process. The SICAM RTUs have been also successfully used in other fields of the energy industry: monitoring and control of oil&gas pipelines and underground gas storages, flight control systems and automation of airport utilities. The strongest member of the product family is extremely flexible and powerful thanks to the modular, consistent SICAM system architecture. Automation, telecontrol, and communication functions can be easily combined in full compliance with IEC 61850. With the increasing number of prosumers, the power grid is changing into a bidirectional network where load flow control is crucial. The cost-effective SICAM A8000 Series has been designed to manage the effects of decentralized power feed-ins and reduce network losses. The SICAM TM combines cost-effectiveness and complexity in an optimal manner. This family member may be used as a simple data concentrator or protocol converter, but its modularity allows expanding this automation unit to monitor and control hundreds of field devices. 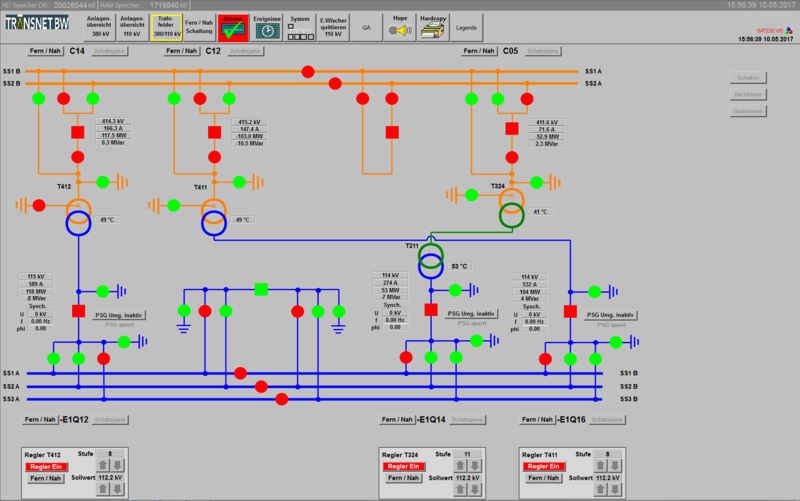 SIMATIC WinCC (TIA Portal) is part of a comprehensive, integrated engineering concept which offers a uniform engineering environment for programming and configuration of control, visualization drive solutions and motor management. This engineering framework is a milestone in software development and represents the consistent further development of the TIA concept. WinCC in the TIA Portal is the software for all HMI applications ranging from the simplest operation solutions with Basic Panels to SCADA applications on PC-based multi-user systems. The range of solutions is thus increased significantly compared to the predecessor product, SIMATIC WinCC flexible. SIMATIC WinCC V7 is still available for more complex applications with Plant Intelligence solutions or redundant architectures, while WinCC Open Architecture addresses solutions with highly customer-specific adaptation requirements, including on non-Windows platforms. Perfect interaction in the engineering framework The design of the software editors in the TIA Portal is based on a shared layout and shared navigation concept. The configuration of the hardware, logic programming, parameterization of a frequency converter, or the design of an HMI screen - each environment has the same editor design, which is specifically designed for intuitive use to save time and costs. Configuring with libraries and faceplates The library concept of the TIA Portal is not limited to the supplied program blocks or faceplates. With the TIA Portal, the user can create his own libraries of many various parts of the engineering objects, which can be easily reused. Intelligent tools for efficient configuration Time-saving configuration means: delegating tasks. SIMATIC WinCC supports the project engineer with wizards for routine tasks and a lot of sophisticated tools and functions that ensure excellent results in shortest realization time. See clients that we’ve installed SIMATIC WinCC for. SICAM PAS can be easily included in existing systems and used for system integration, too. With modern diagnostics, it optimally supports commissioning and maintenance. SICAM PAS is clearly structured and reliable, thanks to its open, fully documented and tested system. See clients that we’ve installed SICAM PAS for. 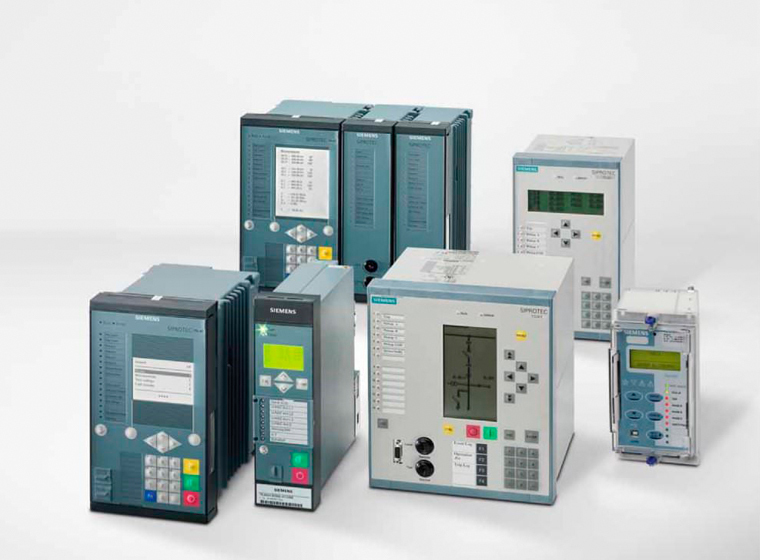 The SI(emens) PROTEC(tion) devices lead the way in integrating protection, control, measurement, and automation functions in one unit. Thanks to the homogenous system platform and extensive experience of more than a million successfully operating devices in the field worldwide SIPROTEC enjoys top recognition among users. SIPROTEC is the industry standard for digital protection technology today. In many fields of application, all secondary technical functions can be carried out using just one device. This lowers investment costs, reduces installation work in every respect, and increases system availability. The implementation of the international IEC 61850 standard has played a significant role in forming a consistent and future-proof basis for all protection, communications, and control functions. The trendsetting system architecture places communication firmly under the protection engineer's control. Powerful, flexible, and above all reliable communication is the most important prerequisite for distributed and decentralized systems such as smart grids. The implementation of IEC 61850 edition 2 unfolds the entire potential of this standard by optimally supporting operational needs and making handling easy. See clients that we’ve installed SIPROTEC for. 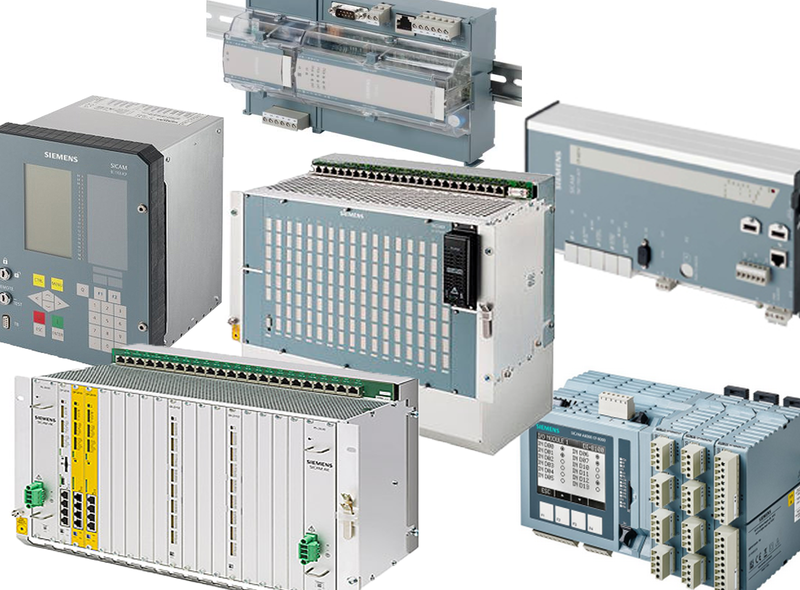 SIPROTEC 4 protection and bay controller devices have been proving their value for many years through their efficiency, reliability, and future-safety. The low life cycle cost makes sustainable and profitable management possible. SIPROTEC 5 is part of the new generation of incomparable modular, flexible, and intelligent digital field devices. With modularly designed hardware and software the SIPROTEC 5 field devices are perfect for protection, control, monitoring, and measuring applications in electrical energy systems. Perfectly suited for protection in distribution systems and industry, with minimal space requirement SIPROTEC Compact devices provide a comprehensive range of functions in a surprisingly compact and space-saving housing. Every machine or plant has individual requirements for system performance and application complexity. 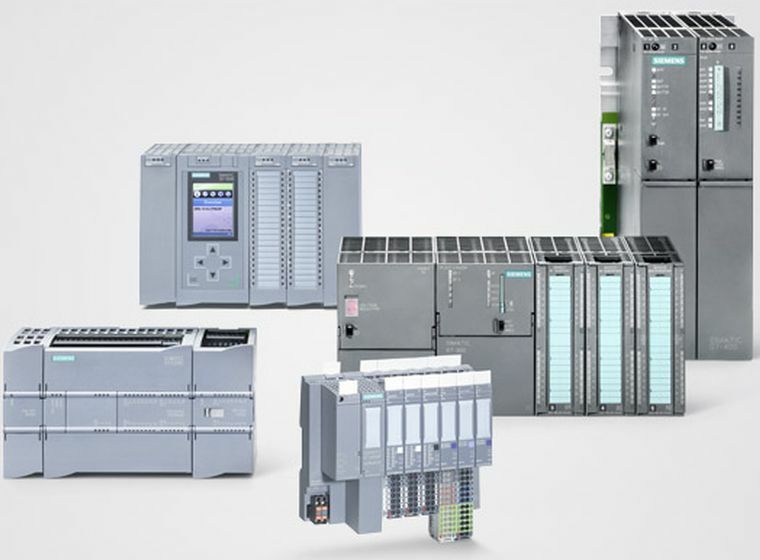 With its extensive range of controllers, the SIMATIC product line offers the perfect control solution for each application. the Software Controller S7-1500 for PC-based applications. All Basic, Advanced and Distributed Controllers are also available as fail-safe versions for implementation of fail-safe applications. See clients that we’ve installed SIMATIC for. SIMATIC HMI is optimized to meet your specific human machine interface needs using open and standardized interfaces in hardware and software, which allow efficient integration into your automation systems. Industrial communications ensure greater company-wide efficiency. SIMATIC NET is based on proven standards, which allow you to implement powerful, integrated data networks that are "future-proof". With SIMATIC S7-400H, we offer you a highly available controller which minimizes the probability of production failures – and thus decisively contributes to maximum productivity.